We provide custom digital solutions for industry leaders of today and tomorrow. Let’s face it: today&apos;s world is fast paced and dynamic. You want to enrich your customer relationships to create new value while fulfilling their changing needs. At the same time, you’re striving to maintain and expand your customer base with a creative, potent internet presence at the lowest possible cost. bGlobal provides economical, custom back office and programming services. We use the latest in web and open source technologies. Our corporate office is located in Los Angeles, California, and we manage branch offices in New York and London. Our cutting edge offshore production facility is located in Dhaka, Bangladesh. Creating new value for your business. In addition to helping your business boost efficiency, we offer fresh insights and perspectives to generate new revenue growth opportunities. We aim to be your strategic partner and deliver top-notch, innovative and technical-driven solutions and services. We’re propelled and guided by both our commitment to service and our belief in value creation and operational excellence. What sets bGlobal apart from other outsourcing firms? The foundation of any solid company—or successful rock ‘n’ roll band—is its players. bGlobal is passionate about what we do and hire people who share our love for web and application development. We think big, commit fully and deliver solid work. Our team comprises of innovative web programmers, visionary web designers and dedicated account managers supported by the best technology, processes and infrastructure any Bangladesh-based agency has ever developed. Collectively we speak over 10 languages and hail from many corners of the globe, but we share the same passion: An obsession with the power of the web and its ability to transform businesses and brands. Our company culture is hardworking, inspiring, innovative and fun. We’re excited by change and fueled by a passion for collaboration and bold invention. Above all, we’re committed to delivering value for our clients. A technology-driven entrepreneur, investor and advocate, Sam boasts over 20 years of leadership experience working with global Fortune 500 enterprises, C-level executives, start-ups and application developers to mastermind cutting edge and emerging software that drives business growth, profit and demand. He has extensive international experience building high performing companies and project teams in emerging markets, from concept to customer delivery. 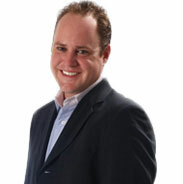 Sam is passionate about developing thriving businesses by identifying how technology can advance the bottom line. 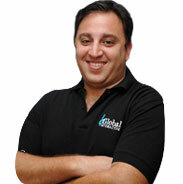 In 2005 he moved to Asia and launched bGlobal Interactive, where he currently serves as CEO. With just two employees and from very humble beginnings, bGlobal has flourished into one of Bangladesh's leading outsourcing companies, providing cost effective programming and production services. bGlobal has grown to over 100 employees in five countries and serves clients such as Akamai, Tech Data Corp, McDonald's and NBCUniversal. Prior to co-founding bGlobal, Sam worked in strategic outsourcing for a leading US internet service provider, EarthLink, Inc. There, he oversaw strategic planning, implementation and operational analysis of numerous outsourcing activities worldwide including back office support functions, inbound and outbound call centers, and on-line sales units. He worked closely with companies such as West Corporation, Sprint, Cisco, Client Logic, Hughes, Avaya, Sitel and others. Recently, Sam has been fostering a number of technology startups in the food, healthcare, entertainment, video distribution and travel sectors. 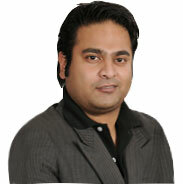 He was instrumental in establishing Direct Fresh Ltd., Bangladesh's first premium online grocery store. Direct Fresh has gained national attention for its commitment to provide safe, fresh and healthy food to the residents of Dhaka via an online store. A dual citizen of the UK and Bangladesh, Mishal attended United World College of South East Asia and Dulwich College in the UK. He completed his BS in Economics and Finance from Royal Holloway University of London and opened his first promotions and marketing company at age 18 working with brands like Red Bull, Bacardi, and Smirnoff.He achieved success at an early age and, at 21, was featured in a Channel 4 program on young entrepreneurs. He was also profiled in magazine articles in FHM, Company and Asiana. In 2001 Mishal decided to relocate to emerging Asia and opened JPR Events & Marketing. There, he worked with brands such as BMW, Nokia, British American Tobacco, Mercedes-Benz, Grameenphone and Grey Advertising, gaining in-depth perspective on how different brands market their products and services. He engaged numerous consumer marketing campaigns and consultancy projects in Singapore and the Kingdom of Bahrain.In 2005 Mishal co-founded bGlobal with partner Sam Bretzfield. Spearheading CSR (Corporate Social Responsibility) efforts for bGlobal, Mishal established and maintains an orphanage for 20 boys in Comilla, Bangladesh. Hailing from New York City, Jassin is a graduate of Dwight High School and an alumnus of Franklin & Marshall College. He started his career in 1997 with his family run business, Epic Designers Ltd., a ready-made garment manufacturer with production units in Bangladesh, Vietnam and China. For more than seven years Jassin was Director of Production & Merchandising for Epic Designers largest production unit in Bangladesh, Lenny Fashions. His next venture was in real estate development, helping Ascent Group of Bangladesh launch three residential and commercial projects. Monir oversees activities that have a direct impact on client account management and production. He works with both bGlobal customers and internal programming resources to ensure project success and client satisfaction. Monir has more than ten years experience in IT project management, process improvement, quality assurance and web application development. He has worked on many government and international business/IT infrastructure development projects focused on B2B and B2C markets for institutions such as Bangladesh’s EPB (Export Promotion Bureau), BOI (Board of Investment), BRTA (Bangladesh Road & Transport Authority), British Petroleum Company, ISO and CARE Worldwide. 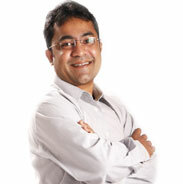 Monir holds an MBA (MIS), BBA and e2Com degree from ITT, India. 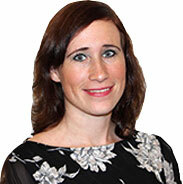 Before relocating to Bangladesh in 2012, Ellen had more than 10 years of B2B and consumer marketing and communications experience in Holland. In the latter half of her Dutch-based career, she directed all marketing and communications for the Benelux (Belgium, Netherlands, and Luxembourg) region of a large, international felt pen manufacturer.After arriving in Dhaka, Ellen established a creative marketing and design agency. She joined bGlobal after completing a design assignment for one of their subsidiaries, to generate new business in the Dutch market. With the turn of the 2013 calendar, we want to thank our clients, partners, and the Agency Oasis staff for making 2013 the greatest year in our 12 years of existence. We are an agency that prides itself on hard work, dedication, and client satisfaction.